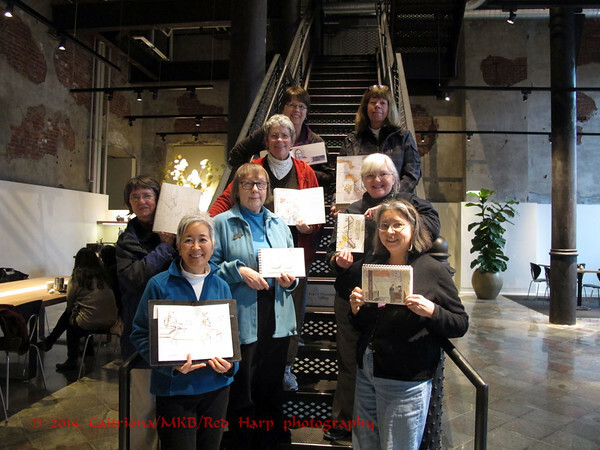 Urban Sketchers Seattle: Chocolate. Georgetown. What's better than chocolate on a dark, drizzly Seattle day? The Ad Hoc Friday group spent the morning at the Fran's Chocolate shop in Georgetown. It is a beautiful location which has modernized an old brick brewery but kept many of the interesting architectural bits. 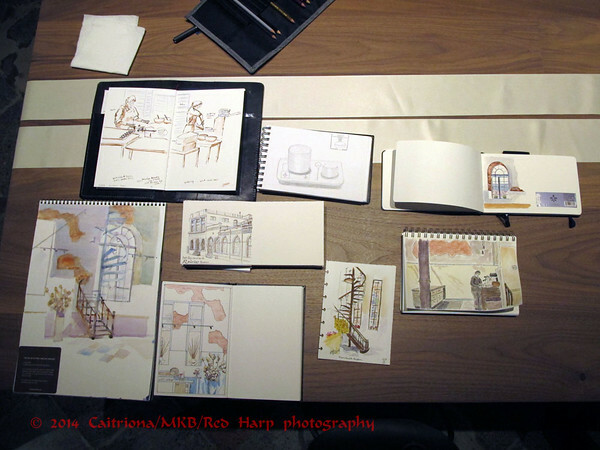 Several of all of us sketched the spiral staircase! I would probably not have attempted this a year ago. But constant practice led me to feel I could attempt it now and I'm satisfied with the result. Sketchers sketching. 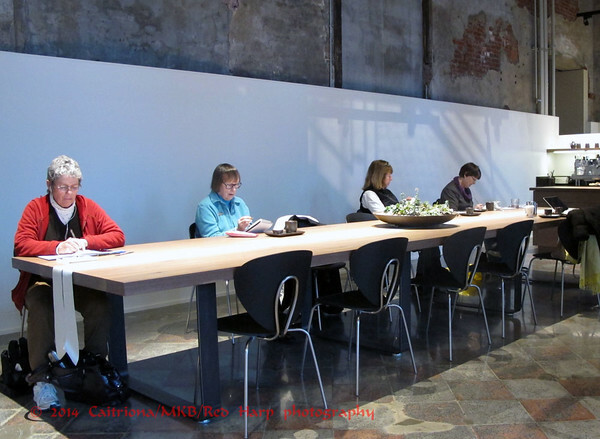 There was this long table and several cafe tables on the other side. Ann's husband, John, took the group photo. 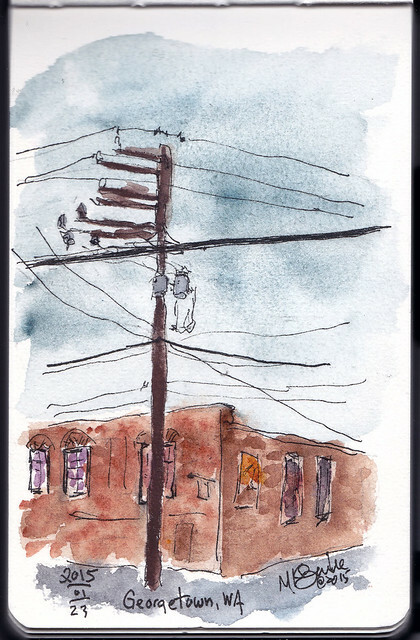 Before joining the group at 10, I did a quick sketch from the car of the view of old brick and telephone pole across the street. After our outing, four of us went across the street to La Catrina for lunch. 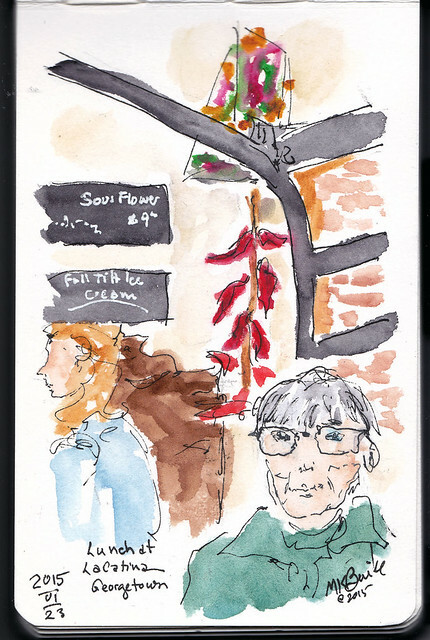 Couldn't resist a very quick sketch.... including one of the sketchers and a rope of chiles. What a fun place to sketch. 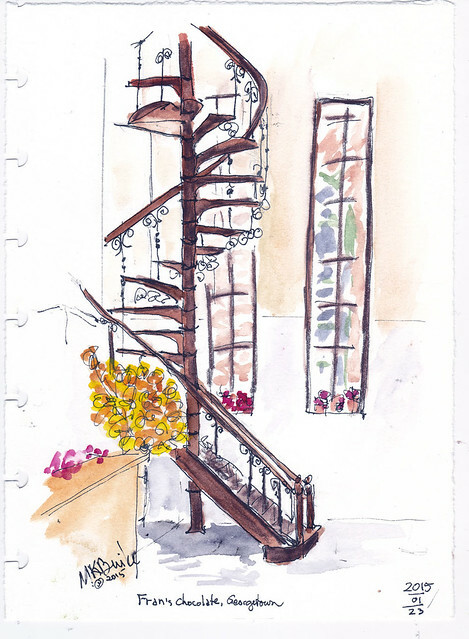 The staircase does look challenging -- nice job!